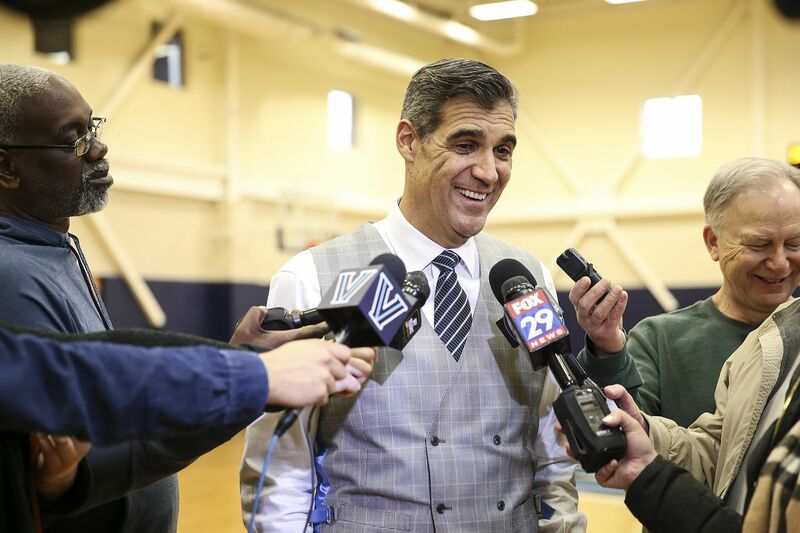 Villanova head coach Jay Wright talks with the media after practice Monday, March 18, 2019. With the news about the Phillies playing video games in the clubhouse still fresh, Villanova coach Jay Wright was asked earlier this week if he had any restrictions on his players taking part in video games during the season. “Just Jermaine Samuels, he’s the only one,” Wright said, referring to the Wildcats’ 6-foot-7 sophomore starting forward. Samuels, one of the key contributors in Villanova’s championship run through the Big East Tournament, said he has heeded Wright’s instructions. Samuels added he will continue his self-imposed ban after the season ends.